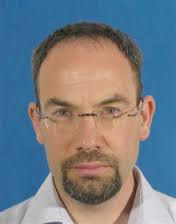 Tsafrir Loebl, MD, is the chief of the partial hospitalization unit at Kfar Shaul psychiatric hospital in Jerusalem, Israel and affiliated with Hadassah Medical School of the Hebrew University. He is the coordinator of the dual diagnosis inpatient project in his hospital. He was formerly a research fellow at Massachusetts General Hospital’s center for addiction medicine. He was also the psychiatrist in charge for Hadassah adult eating disorder inpatient unit. His past research experience include pharmacotherapy of cocaine dependence and nicotine dependence. His main clinical interest is substance use disorder among patients with major psychiatric disorders. Dr. Loebl works as a psychiatrist since 2000. 4) Evins, A.E., Pachas, G., Mischoulon, D., Urbanoski, K., Carlini, S., Sousa, J., Bentley, K., Rigotti, N.A., Nino-Gomez, J., Loebl, T., Janes, A.C., Kaufman, M.J., Fava, M. A Double-Blind, Placebo-Controlled Trial of the NMDA Glycine Site Antagonist, GW468816, for Prevention of Relapse to Smoking in Females. J Clin Psychopharmacol. 2011 Oct;31(5):597-602. 6) Loebl T, Angarita GA, Pachas GN, Huang KL, Lee SH, Nino J, Logvinenko T, Culhane MA, Evins AE. A randomized, double-blind, placebo-controlled trial of long-acting risperidone in cocaine-dependent men. J Clin Psychiatry. 2008 Mar;69(3):480-6. 7) Katz G, Knobler HY, Laibel Z, Strauss Z, Durst R. Time zone change and major psychiatric morbidity: the results of a 6-year study in Jerusalem. Compr Psychiatry 2002; Jan-Feb 43(1):37-40. 8) Valevsky A., Loebl T, Keren T. Response of catatonia to Risperidone: two case reports. Clin. Neuropharmacol. 2001; July-August 24(4): 228-31.